I have a question.Name a single mod, weapon, Warframe or item you cannot get without paying for it. Again, not counting Excalibur Prime Access items, as they are a unique case and do not count towards "Pay To Win" because you can't even buy them. I am honestly curious. Because there aren't any. "Name me examples, except for 1 Warframe and 11 Weapons released at the same time that prove me wrong automatically"
Effectively any game with micro-transactions that are'nt cosmetic only is considered "Pay To Win". If it has advantages to any aspect of the game itself, then tough, the game is "Pay To Win"
Gameplay = Items brought via micro-transactions provide increased gameplay option and decrease the overall 'grinding' that the game forces you to do otherwise (Either to gain the exact items yourself or to trade for platinum to use the micro-transactions yourself). It can unlock specific levels or simply enable you to do more during play. Time = You end up wasting less time on missions. 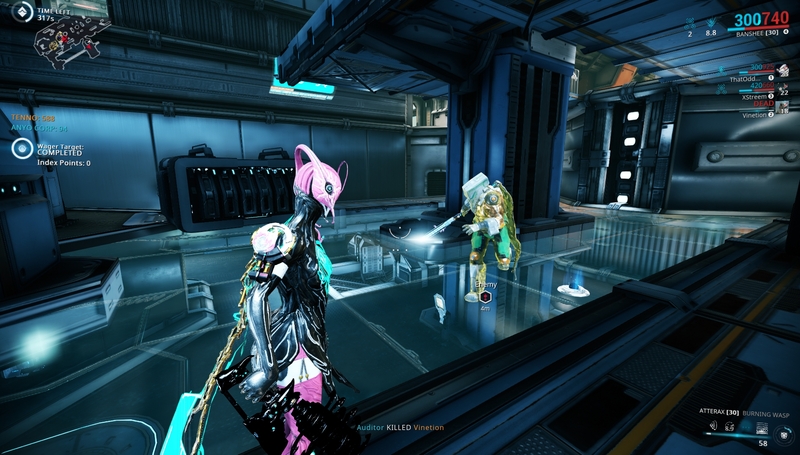 Warframe is like all those people you see shiny hunting for Pokemon, except it takes longer. The current micro-transactions mod's, weapons, warframes and items do become available to players... but at a delay of days, weeks, months or even years. Exclusivity = Most Warframes, Mods, Weapons and Items that can be brought through micro-transactions are either exclusive or difficult to get. Some of these are even exclusive for days, weeks, months or even years in some cases. Regardless of your viewpoint, you could buy these items for a period of several months. That is a perfect example of "Pay To Win" because its a micro-transaction exclusively that gives those players that brought it an advantage that others will NEVER EVER recieve. Personally playing a game to me doesnt mean spending several hours in what is effectively the loading screen posting 'WTT BLANK for BLANK'. Yeah, as described by some random nut on the WoW forums four and a half years ago. Hardly what I'd call a reliable source for a definition. Games that let you buy better gear or allow you to make better items then [sic] everyone else at a faster rate and then makes the game largely unbalanced even for people who have skill in the game without paying. Well, well, well. That changes things doesn't it? I was giving an example of a 'Pay To Win' exclusive because those still happen. To normally achieve certain mods you need to be in a group of 4-8 people and do specific things that are almost impossible to co-ordinate unless they are all friends. And where's the money involved? I've invested close to 1000 hours into the game, more than many actually will and even i never stand a chance at getting some of the exclusive mods that were only released once and are unlikely to be released again and/or group missions that unlock specific mods if you each have a specific key. SHOW ME THE MONEY, HONEY. There are some bits of gear you will never gain unless you have been putting money into the game from the start, i for example was one of the few to get Excalibur Prime that Prime Warframe will NEVER be released again due to the legal issues. ONE warframe that couldn't be acquired without paying money. I'll give you that. It does not grant any kind of a significant advantage that will allow you to instantly "win". Now where are all these other bits of "gear"? I have yet to hear about a single mod that you could only obtain by spending money on it. There is no such thing as 'Pay For Conveniance'. This is the most mind-melting lie I've seen yet. Have you never heard of flying first-class or preferred boarding for an airplane? How about faster shipping speeds for your online shopping? I know I'm not imagining these things. In addition, if you are paying for the conveniance of aspects that are only available in micro transaction... that perfectly matches the definition of Pay To Win as you are being inconvenianced by the lack of certain Warframes, Mods or Items. No, it doesn't, because it isn't actually facilitating your ability to "win". The PvP ranking for your loadout is determined by the gear you and the other players have equipped. How quickly that gear was obtained isn't a factor at all. You still are reliant on your own skill to win and no amount of money can change that. The point being that this mission is clearly designed for four people. You have effectively a 1 in 4 chance (If RNGesus smiles upon you) however i've been a member in cases where we've had two party members with different keys that we kept the same each time, and after 10 tries neither of us got to open the vault. And you know what? YOU CAN'T BUY CORRUPTED MODS OR A WAY TO HOLD MULTIPLE DRAGON KEYS. Heaven forbid that DE should build their four-player co-op game around the idea of cooperating with four other players. It's called risk-reward. You can run the mission with an extra challenge to get extra rewards. This is hardly a new concept. I've never had trouble crafting these things. Guess what. You don't have the end-all be-all say on what is considered "Pay-to-win". Are you sure it doesn't increase the overall wins? I thought we were paying to win, not paying to skip the grind. Oh, I thought we were paying to win, not save time. I'm so upset that DE allows people to just skip playing the game to get all that stuff they'll use to ... play the same game? Wait, what changed by them spending money? FINALLY, something half-way logical in this mess. Yes, we could have an entire discussion here about the "gameplay loop" and what it entails. But that's for later when we discuss "paying for a good product/experience" and not "pay-to-win". Exclusivity = Most Warframes, Mods, Weapons and Items that can be brought through micro-transactions are either exclusive or difficult to get. Too bad you can't name a single exclusive thing outside of Excalibur Prime. Maybe then you'd have a case. Games that let you buy better gear or allow you to make better items than everyone else at a faster rate and then makes the game largely unbalanced even for people who have skill in the game without paying. Thanks for this, because it changes things completely - by taking apart your entire arguement. You just crippled your entire counterpoint... with this and i can now thoroughly take apart your post. I dont need to show you the money in any of these, you squarely planted your foot in your mouth the second you defined it as the 'most popular definition' The defintion mentions nothing about exclusivity or a time limit. It simply mentions that it makes the game unbalanced. The sheer fact you can buy items to avoid all these remarks i made, all that pointless in-game hassle, all that time wasting. It automatically gives you those who buy an unfair advantage by getting the items much faster, being able to build, upgrade and customise the character with any set-up or loadout in the game even at the initial release where the Warframes, mods, items or weapons are not implimented into the missions yet. I have yet to hear about a single mod that you could only obtain by spending money on it. By your new definition, i dont even have to. The new definition is not dependent on time, its not clarifying what the advantages are it just mentions that it makes the game unbalance in one users favour - which the micro-transactions to buy items, warframes, mods or weapons does by aspects of reducing time wasted along with all the other factors i listed above (Gameplay, Time, Fun, Exclusivity) - though admittedly limited on that last on. There is no largely accepted definition of Pay For Conveniance. Even 'Urban Dictionary' your source from before has no listing. I was referring precisely to this. "Pay To Win" is more a concept and by your new definition, 'Pay For Conveniance' would fall under the same category making it redundant. it isn't actually facilitating your ability to "win". Buying it and starting step 4 immediately. "Paying gets you good things to help you in the game"
I still enjoy Warframe, and i've devoted a lot more time into the game because i liked it and wanted to succeed. Its why i became a founder. It doesnt stop me from playing it nor does it make me hate the game. Its just a basic fact that you can progress quicker making it unbalanced if you use money. Granted they are working to fix the unbalances, but remember that the only way that this 'free to play' game survives is contributing money to them. I feel like both of you are mistaking the idea of Pay 2 Win with Warframe's reality of "Pay to not deal with obscene farming times." I don't play that often anymore but even when I did buying items/frames never unbalanced the game, it simply made obtaining some items faster for those willing to pay. It's why they offer platinum discounts as login rewards. Not that there isn't a legitimate argument for both sides, but I just remember buying Banshee because I couldn't be bothered (and still can't) to farm an entire frame. I have 300 hours devoted to Dota 2 over 4 years and I play that game more than any other on my comp, I can't spend two weeks just to get a frame that's leaps and bounds more fun to play than Excalibur. It's absolutely a mechanic that speeds up a fundamental process of the game, but really, I want to know where it unbalances the game, because in the time it takes for you to make that weapon you've levelled your frame and other gear leaps and bounds farther than I have, thereby not discounting your time investment whatsoever. ESPECIALLY when buying those new frames/gear items DOESN'T MAKE YOU MORE POWERFUL BY DEFAULT. If you buy a new frame you can rest assured that you aren't going to be sitting pretty murdering enemies that are 20-30 levels higher than your frame is, just because you paid. Therefore, I fail to see how it unbalances the game or gives an unfair advantage to anyone. All it does it cancel out grinding time. And considering you can pay to buy blueprints, or rush builds, I don't see how buying the item at increased cost is that much different. Play to Win would necessarily mean that there is a win condition for the game, and if you're one of those people that believes "winning" is to own all the gear, then absolutely Warframe is Pay to Win. However, if you don't really think Warframe HAS a win condition, than all paying for gear and frames does is allow you to enjoy more of the game in less time, and I'm actually quite glad for that. 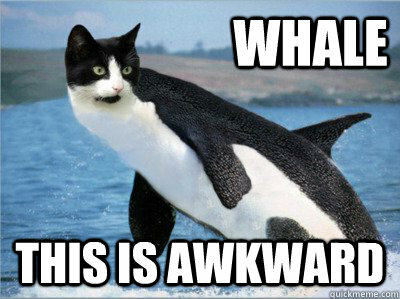 even at the initial release where the Warframes, mods, items or weapons are not implimented into the missions yet. Mag comes from the Sargeant. 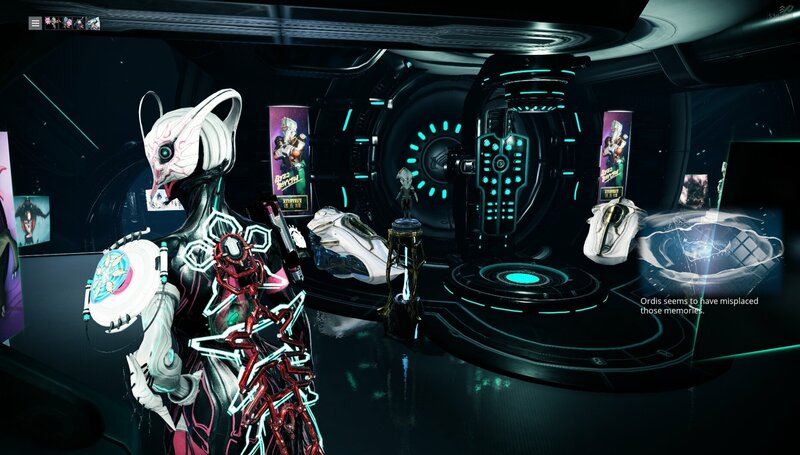 Volt comes from the Tenno lab. Loki drops off the Hyena Pack. Ash drops off Grineer Manics. Ember comes from Sargas Ruk. Rhino comes from the Jackal. Trinity drops from the Krill/Vor fight. Frost is from the regular Krill fight. Saryn is obtainable through the Rathuum arenas and Kela De Thaym boss fight. Banshee is in the Tenno lab. Vauban (arguably the hardest frame to get) drops from random alerts every few days. Nova can be obtained through the Raptor boss fight. Nekros comes from the Lephantis fight in the Derelict. Valkyr drops from Alad V.
Oberon (THE MOST COMMON FRAME) drops from any Eximus anywhere in the game at any time under any circumstances. Zephyr is available through the Tenno lab. 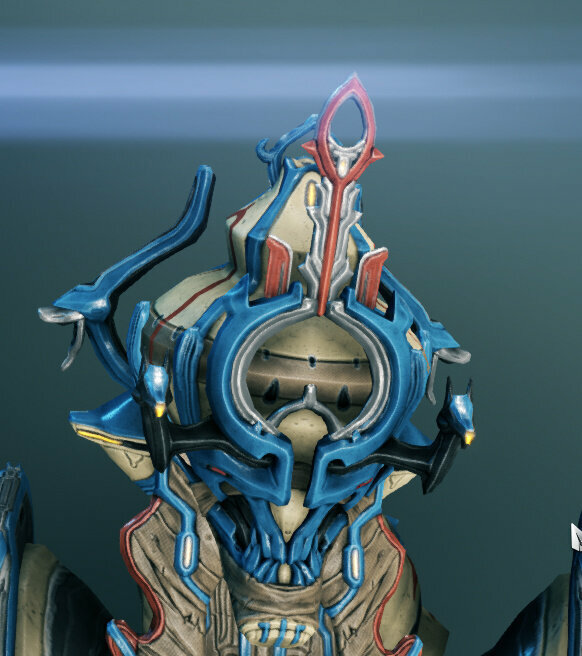 Hydroid drops from Vay Hek. Mirage comes from a quest solely designed for obtaining Mirage, Hidden Messages. Limbo is a quest frame from Limbo Theorem. Mesa is available through completing Patient Zero and fighting Mutalist Alad V.
Chroma comes from the New Strange questline. Equinox drops from Tyl Regor. Atlas comes from completing the Jordas Precept quest and fighting the Jordas Golem. 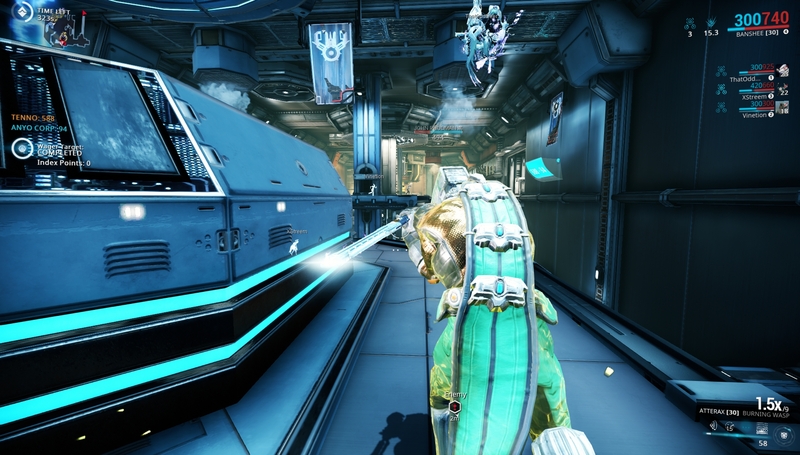 Wukong is in the Tenno lab. 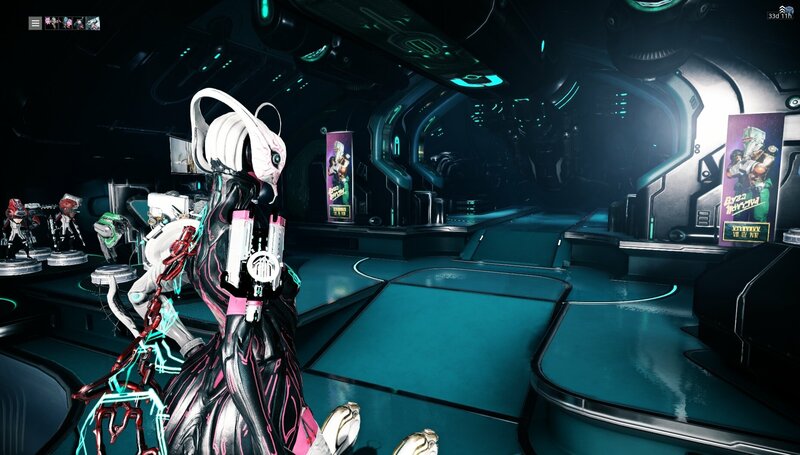 Nezha is ALSO in the Tenno lab. Ivara comes from Spy missions. Inaros comes from the Sands of Inaros quest. Titania comes from the Silver Grove quest. Nidus drops from the Salvage mission, and his blueprint comes from the Glast Gambit quest. All Primes come from the Void until phased out until their unvaulting. That is every frame in the game in release order. To any player looking to farm for them. It is only Pay to "Win" if you make it. It's Pay to "Win Faster and Lazier," but very much not classic P2W. I generally consider something pay to win if you can pay real currency to gain an advantage that cannot be gained through just playing the game. Maybe they've fixed that element, it was definitely buggy during the start. Not particularly on the original frames, but more so when they first added the newer Warframes, however its still a grind to get the pieces for the frame and multiple long build times which would mean that most people would'nt unlock them in a day or two. Though yeah, this is completely right. Its just the broad term used is 'Pay To Win', which is why i refer to it as a 'Pay To Win' game. As i meantioned, whatever reason you are paying, you are doing so to improve your experience with the game. I suppose you could use the other term, but thats more of a knock on the people who do micro-transactions, and lets be honest here, there are other motivations also. Without micro-transactions Warframe would not have improved over time and some people donated simply to support it - though admittedly a few did so for collectability or in-game perks. Most free to play games never evolve because they need a monetary gain to hire people and pay them to work on the game. Not taking credit for it, just saying that there are other motives to laziness and wanting to win faster. Honestly Warframe is constantly updating so it cant really be 'won' anyway. Honestly I think this whole P2W argument is futile and circular; you guys aren't gonna convince Scar to come back to Warframe, why bother. 'Pay To Win' doesnt mean you automatically win, yet people ignore that even when its flat-out told to them over and over. Thats the problem here. People dont listen. Even when the definition has been stated multiple times and clearly includes Warframe. People think that it falling into the 'Pay To Win' category that its somehow bad, yet i just pointed out that its natural in most free-to-play games. I'm just in the process of sorting out my computer and transfering programs and files before sorting out Steam and updating all the updates i will have from not playing Warframe since December (due to new computer) I have'nt played because when you cannot invest months or years of your life into the game, you wont keep up with the constant new updates and aspects without using the 'Pay To Win' options which are constantly in your face. Even the daily login reward is often money off purchases. Temptation to do this would be too strong. The only things you can buy in Warframe that affect gameplay that are unobtainable unless you pay money are founders items, and most of these items have a very minor impact on gameplay. I really fail to see where it becomes pay to win. oh poodoo I got dragged in. I'm just gonna state my opinion. My definition of a pay-to-win game is this: A game that gives an advantage to players who pay real money for something in the game over players who don't. I don't have much experience with Warframe, but from what I've experienced, the only things that require real money is aesthetics to customize a Warframe with. Other than that, everything seems pretty obtainable through time and effort. Warframe doesn't really give an advantage to players who pay money for things in the game. I agree that Warframe is more pay-for-convinience than pay-to-win. Oh good lord, is someone trying to say Warframe is pay2win? LOL. I don't mean to fuel a dead fire, but Warframe is not pay2win. You can trade the game's premium currency with other players. Need a slot or two? Want to buy a frame with a discount? Don't want to farm resources for a weapon? Don't want to hastle with the games RNG for Kavat genetic signatures? Simple: get some relics, hop over to a void fissure, get some prime sets, and head over to trade chat. Is trading diffcult? YES, YES IT IS. But hey, not everything is easy. Plus there is the Warframe forums, Warframe Market, and the Warframe trading subredit to help. And before anyone says anything about the game still being Pay2win because you can buy plat: DE needs money to run the game guys. They can't run it for free. And I am more than happy to drop some money for a renown pack or Prime Access. And before anyone says anything: It's my money and I will do whatever I want with it. I will spend it as I see fit, not how you see fit. Also: Primes do not make the game pay2win. Yes, you can buy primes when they first come out, but heres the thing: they are immediately farmable as soon as they come out (And no, Valkyr Prime was not delayed. Her codex entry was delayed). Besides, DE makes it worth your while if you buy Prime Access. And Yes, Excalibur Prime was a thing. And yes, he did technically make the game pay2win in a sense. But the founder's pack was discontinued and even then you didn't need Excalibur Prime if you had Excalibur. Plus soon enough we will have Excalibur Umbra (China's Excalibur Prime) which will be available to everyone. And pardon me while I go off on a tangent, but YOU DO NOT NEED PRIMES. Prime warframes only offer free Forma slots and different visual designs. They do have stat boosts, but the boosts are not worth it honestly. Also I have normal, vandal, and wraith weapons that outperform prime weapons on a regular basis. My Tonkor is a freaking beast in missions. I'm pretty sure the term "Pay2win" is to be taken literally, not technified (pardon me if that's not a word). Pay2win implies that you have to pay to progress in the game (Something akin to candy crush saga. It's a bit of a scretch comparison, but i'm rolling with it). In Warframe, you can buy plat to make things easier, but at the same time you can trade for plat and it's not hard to do if you have the right items. Either way, you don't need to pay to win in this game. If you can't handle the fact that DE needs money, trading, grinding for items that can be obtained in game, interacting with people for help; stay far away from this game, it's not for you. This game was never a true pay2win game. And I didn't even touch upon the fact that DE, YouTubers, and Warframe Players themselves do platinum giveaways/contests often. cue someone calling me a fanboy or using this exact statement to debunk my entire post. I know either one is going to happen. And just to be clear, I am not trying to start anything. I'm just tired of people calling Warframe Pay2win. End of Story. That's the thing, I don't see anything bad with people purchasing things in Warframe (At least it isn't like Candy Crush). The devs of Warframe seem very passionate about their own game. I have never seen a game that still has updates that add an abundance of new things that can be acquired with enought time and work. As a generally casual player, I like Warframe a lot, and I feel like calling it Pay to Win is kind of not doing justice. I don't even play Warframe for PvP, which is what I usually associate the phrase "Pay to Win" to, so the claim doesn't make sense to me at all. If I don't have any rare mod or powerful Warframe, a) I can work up to it, or b) it's not the end of the world. I like Amarok that way he is. I just really need to play for the story. This update adds an infested-based Warframe, and I want to know how that occurs. So today, I ran into a legendary meme amongst men. So... by playing The Index Endurance (at any risk) for 1 hour, John Prodman appears to try and stop you from beating the other brokers. Upon defeat, he teleports away in a bright beam of yellow light, leaving behind an autographed poster (the one in the last screen cap). 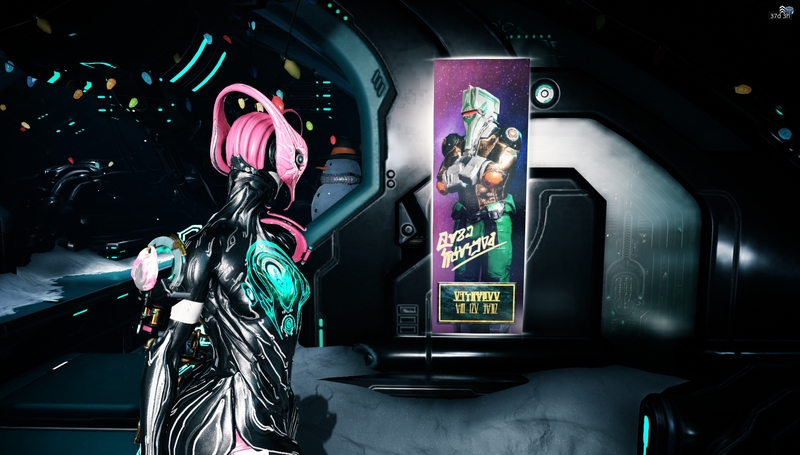 So yeah... John Prodman exists. Dang, If I actually liked Index, I'd try to get that poster. UPDATE: I have since acquired 3 more posters, and plan to go for a total of 10. I honestly really recommend going on a Prodman run. It may be Index, but it's really fun. That was my initial thought because of the general shape and mouth. Also the big circle in the middle. Too bad although I own Inaros, I really dislike playing him. Gonna be trading him out for Oberon soon. I have to commend DE for the Hirudo and the Ohma. You've got the Hirudo that heals you with each crit and the Ohma with it's high damage, good crit chance, and high status chance.